← Looking for more reviews? This eBook is an instance of a classic tree book being made available for digital consumption. Wright’s illustrations are gorgeous, though the developers could have made them much bigger. As it is they only take up about 25% of the screen, and since there is no narration or interactivity, the illustrations have to carry the show. 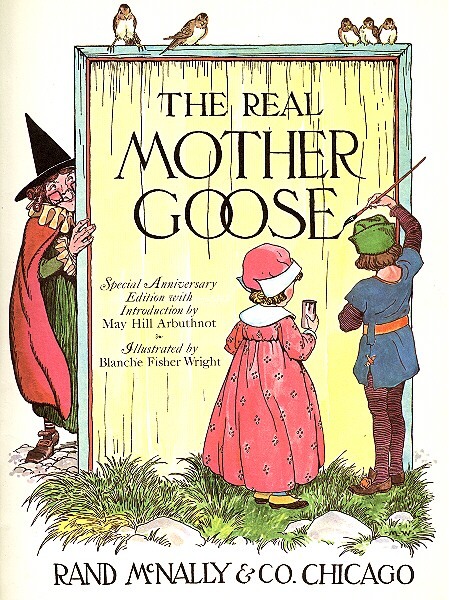 Mother Goose rhymes are wonderful for soothing little people, and this collection of rhymes fits in a purse or diaper bag much better than the paper copy would. Posted on February 10, 2012, in Amazon App Store, eBook, eReader, iTunes. Bookmark the permalink. 1 Comment.